5 ton gantry crane is a cost-effective material handling solution to be used in outdoor areas such as cargo yard, freight yard, port, workshop and warehouse. This gantry crane 5 ton is one of the most popular models of light duty gantry crane, and is able to fulfill the small lifting tasks with high efficiency. According to different running mechanisms, the 5t gantry crane can be divided into two types, rail mounted gantry crane and portable gantry crane. 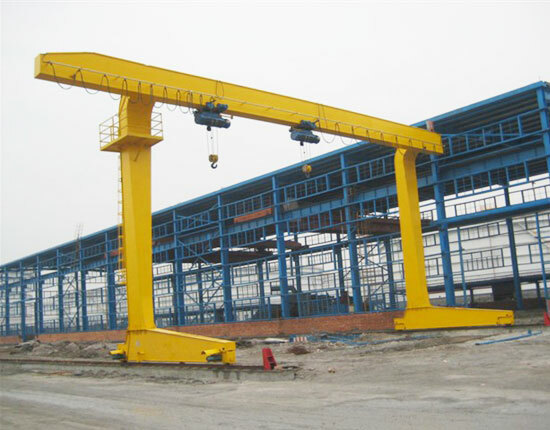 For rail mounted crane, you can choose either full gantry crane or semi gantry crane. For portable gantry crane, we have rubber tyred crane, portable aluminum gantry crane and steel gantry crane for your choice. There are also other light duty gantry cranes including 1 ton, 2 ton, 10 ton, 15 ton and 20 ton from which you can choose. Besides, we supply heavy duty gantry cranes to fit your heavy lifting requirements. Our gantry cranes usually come in single and double girder. In a normal circumstance without any special requirement, the 5 ton gantry crane adopts single girder type, which is fully capable of completing lifting tasks. However, if it is required that large and heavy loads or long items are frequently lifted, or the running speed is high, the double girder gantry crane can be a better option. In addition, based on your practical needs, our gantry lifting equipment can be designed into box or truss type, with or without cantilever, fixed or adjustable height, etc. for your wide range of applications. For instance, The adjustable gantry crane makes the loads easily move through doorway or over obstacles. If your crane always travels along the same path, then the rail mounted gantry crane with a fixed path will be the first choice to make the movement easy and simple. When looking for a gantry crane, you should consider your 5 ton gantry crane specification, configuration, usage and other design options in order to help yourself select the crane that best suits your need. 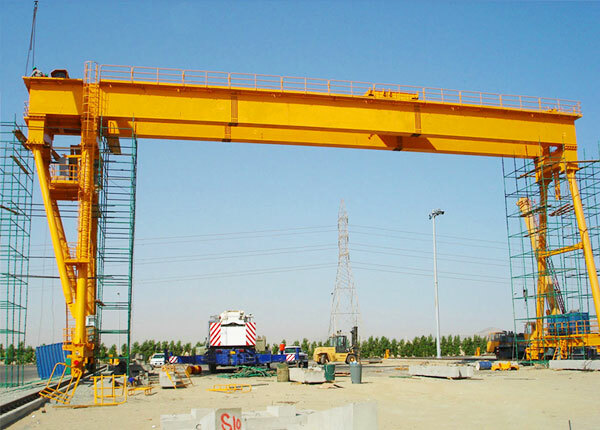 Contact us online to get a free quotation of gantry crane 5 ton as well as a discount. High efficiency and adaptability. The gantry crane 5 ton can make the most of working areas either in rail mounted or rubber tyred type and be reused in other workplaces easily and readily. High safety. Our overhead gantry crane adopts various protection devices to ensure a secure operation such as overload limiter and windproof device. Custom design. 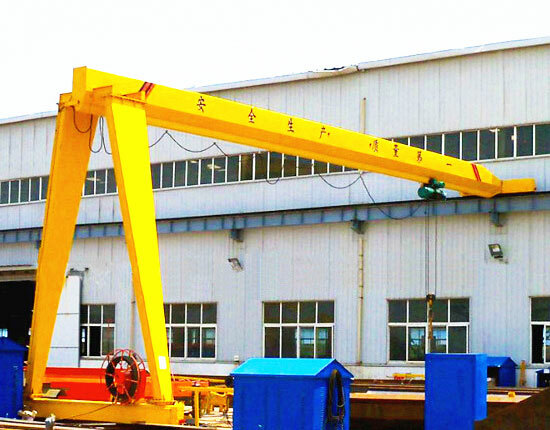 We have experienced technical team to provide non-standard customized crane gantry to suit special needs of customers. Easy and quick assembly and disassembly. The bolt connection assembly makes the installation and relocation of gantry crane an easy process. High versatility. We provide permanent or impermanent lifting solution based on your usage and consideration of cost. Our gantry cranes can be used in indoor or outdoor working areas with fixed or adjustable height and span. For mobile gantry crane, different wheels are in option to suit your specific application. Minimal maintenance. Our high quality 5 ton gantry crane requires little maintenance, thus it can help you save a lot of maintenance costs and time. As a heavy duty equipment, the gantry crane has greatly boosted productivity in your workshop. Its safety is directly related to the normal operation of your production line and the personnel safety. Therefore, in order to ensure the gantry crane can work safely and reliably, our lifting equipment is equipped with various protection devices. To learn about these devices and their respective functions is of great importance, and it can help you achieve a safe and highly efficient operation. Overload limiter is adopted to make the crane stop working when the load exceeds the rated value so as to avoid accidents. This device is widely used in various cranes. Torque limiter is used to input the detection signal of each parameter into computer when the crane is in a working state. After calculation, amplification and processing of these signals, the actual value will be generated and then compared with the rated valued previously stored in the computer. If it exceeds the rated load, an alarm will be issued, and the equipment will stop running at the same time. Gantry crane buffer helps reduce the impact of collision when a single crane accidentally rushes to the end of track or two cranes in the same track collide so as to avoid damage to the crane. The windproof and anti-slip devices are widely adopted in outdoor gantry cranes to prevent the crane from sliding along the track under strong winds when the equipment is in the non-operating state. Other safety devices can also be equipped according to your specific need. 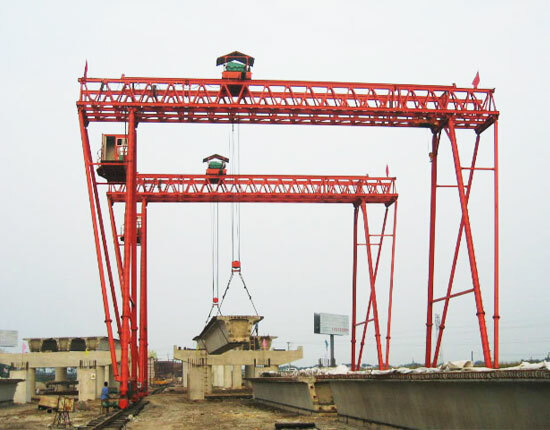 To know more about gantry crane safe operation, consult our engineers online. 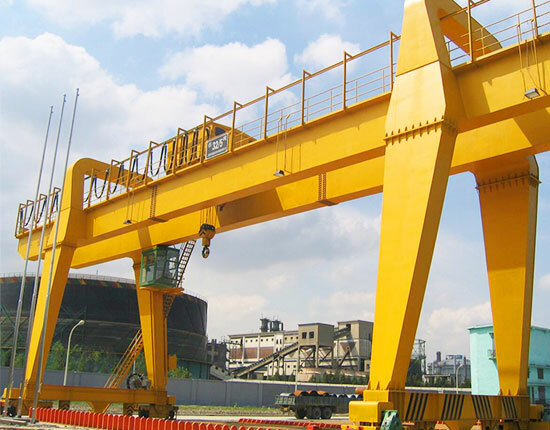 According to different gantry crane usages, the gantry crane systems vary in specification, configuration, and operation. In spite of different types, these cranes are generally the same in structure and mainly composed of several universal components. Gantry frame: it is one of the main components of gantry crane and consists of main beam, legs, end beam, ground beam and rail. Trolley: it carries the hoist to carry out lifting movement, and runs along the main beam. Hoist: the most commonly used type is electric hoist, and we have wire rope hoist and electric chain hoist for you to choose from. The hoist can also be used independently to undertake lifting jobs. Electric control system: the crane can be powered by cable drum, diesel generator sets or bare copper wire. 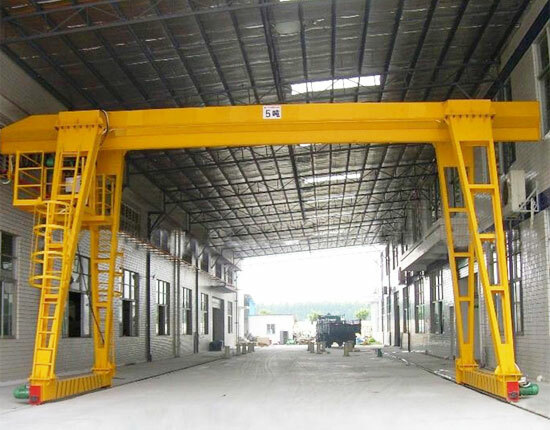 We are gantry crane manufacturer and supplier in China, and have various types of 5 ton gantry crane for sale. If you are interested in our 5 ton gantry crane, please email us or leave us a message. We are willing to assist you to choose the right lifting system for your application.